Royal Glass sells and installs fixed and portable buffet glass, food shields, and sneeze guards to help protect your food display and preparation areas from contamination by passersby. We serve small business owners and caterers, as well as large restaurant franchisees and chains in Morgantown, Fairmont, Clarksburg, and throughout the surrounding areas by providing exceptionally durable food service equipment that is easy to clean and sanitize. We are the region’s trusted provider of glass food protective units because we use only the highest quality materials and our craftsmen ensure that each unit is built to endure. establishment and decrease food contamination with our attractive and functional line of buffet glass, sneeze guards, and food preparation shielding glass. The food in your buffet line or front-side prep area is kept secure with our attractive, clear glass barriers. Allow your customers the joy of watching their food be prepared without exposing your ingredients to germs and other airborne contaminants! Our glass food shields are ideal for a wide range of food preparation and display needs. 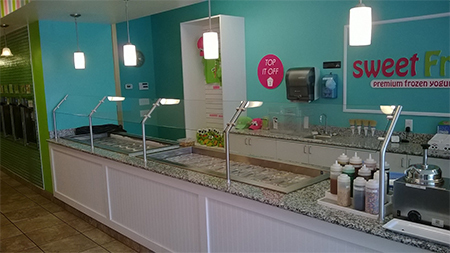 Let us provide comprehensive custom-designed glass for your concession stand, buffet, salad bar, restaurant, bakery, ice cream parlor, pizza shop, cafeteria, or any other area where food or beverages are on open display. Guards are available in a wide range of sizes and styles, including double glass and double face models, tabletop, self-standing, foldable, stackable, pizza displays, curved, adjustable, and much more. Contact us to let us know what your requirements are and we will work with you to design the ideal protective shield to help your customers feel safe and protect your products from being spoiled. All of our food guards are manufactured to exacting standards to enhance your professional image while performing the necessary function of keeping your food clean and fresh. Let us assist you on-site at your commercial business. We will come to your location, take all necessary measurements, and provide you with a quote. Let us know when the ideal time for installation will be, and our team will provide you with prompt protection so that you don’t miss a beat. We can attach replacement panels for your existing buffet, install permanent long, clear, flat and/or angled panels, suspend your sneeze guards above your food preparation or display areas, or deliver your freestanding or self-assembly units right away. We have all of the protective glass products that you need to keep your customers safe and happy. If we don’t have what you need, we will custom design it! Contact Royal Glass to schedule a consultation and measurement today: (304) 366-3791.